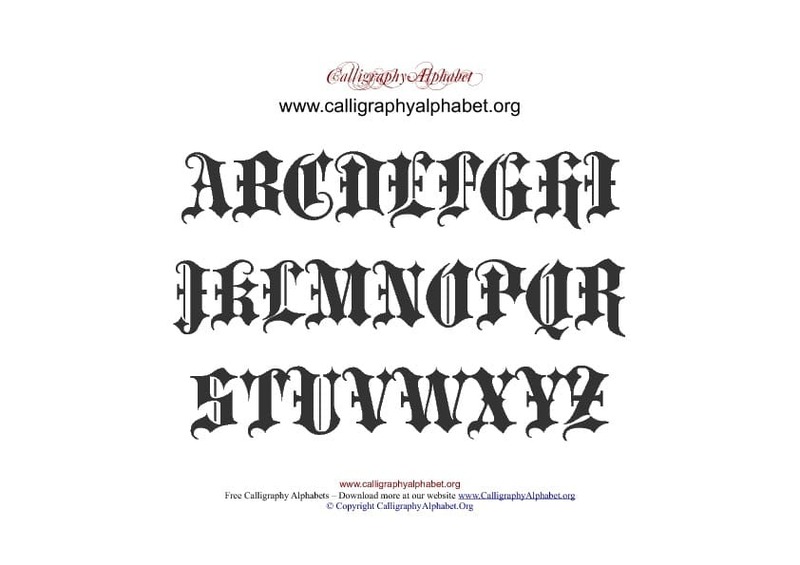 Printable PDF Calligraphy chart with Gothic themed alphabets. Print this Gothic themed PDF formated Calligraphy chart below. These 4th century calligraphy writing styles are based on Greek uncials which can be used for many types of projects and scrapbooking.